Last week I met a friend in a quiet corner of the Heddon Street Kitchen, Gordon Ramsay's new all-day brasserie just off Regent Street. We were just meeting for coffee and the central location, comfy sofas and peaceful ambience were perfect for our much-needed catch-up. When the coffee menu came we were tempted to just order the bottomless brew - which at £3 for an unlimited cafetiere of special blend coffee seemed incredibly good value. But then the other options on the menu caught our eye: Bicerin, Coffee Fever, Affogato ... was this a cocktail menu or a coffee menu? When the friendly Turinese bar manager came to take our order, I asked him about these other offerings and he kindly agreed to bring us some samples so we could try them. 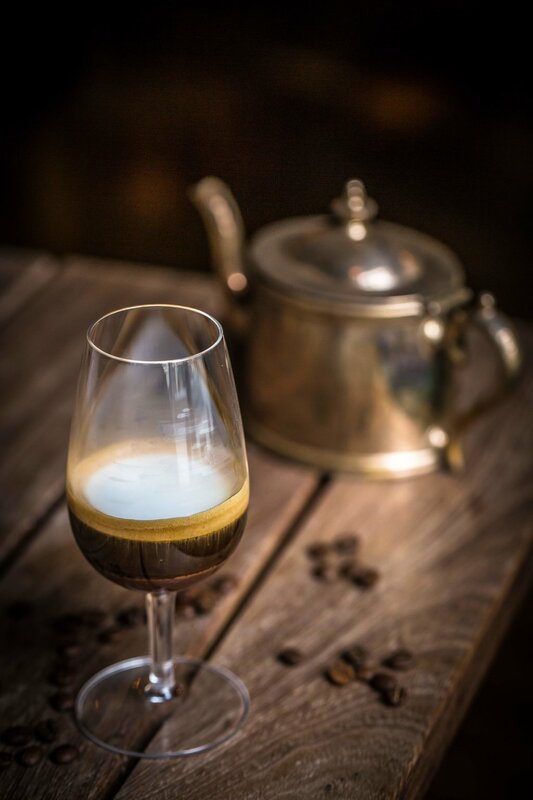 The bicerin came first, a coffee that is served in his home town of Turin, Northern Italy. Delivered in a shot glass it contained a layer of thick chocolate sauce covered in a layer of inky black espresso and topped with an attractive head of milk foam. A quick stir and the ingredients swirled and folded into each other. The result was a mouthful of velvety chocolate with the deep flavour of espresso. Image courtesy of Heddon Street Kitchen. Next up was the Coffee Fever, a single shot of espresso served over Fevertree tonic water with ice. This combination was popping up in cafes all over the US last summer and has now made its way across the pond. The resulting drink is very dry and a bit of an acquired taste, like a Cuban cigar. It will be perfect at the end of a summer's day when you want a pick-me-up before a night out. Then came the affogato, an enticing bowl of vanilla ice cream drizzled with a shot of silky espresso. This is a childish treat for grownups. Deliciously creamy and sweet, it would make the perfect end to a meal. In fact, it was the perfect end to my three-course coffee meal! The fact that Heddon Street Kitchen has thought to expand its coffee menu is testament to growing demand in London for speciality coffee. Londoners are increasingly expecting more than a flat white made with mediocre beans. They are looking at the origin of the beans, where it's been roasted and the machinery it's being produced on. At the newly reopened Black Penny in Covent Garden, the emphasis is very much on the quality of the coffee. They use Alchemy coffee beans, which are roasted in South London, and serve a different blend if you are having it with milk or drinking it straight up. The name Black Penny originates from the fact that coffee houses were once known as penny universities: "Anyone was welcome in the coffee house; whether you were an aristocrat or a soot-stained street hustler, your voice would be heard. All you needed to be welcomed in and smell the coffee was a penny," they remind punters on their website. Image courtesy of London Coffee Festival. 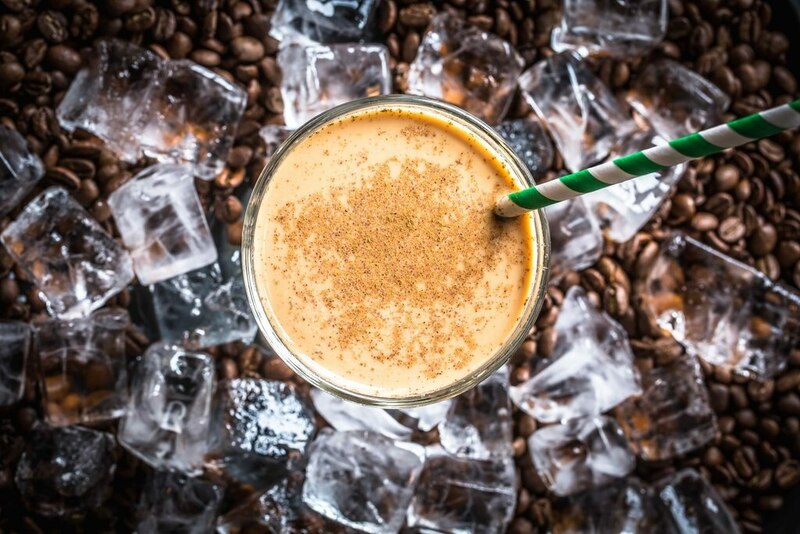 If you want to explore everything that is great about coffee in London, then you need to plan to be in the capital over the weekend of April 7-10, when the London Coffee Festival takes place. "From live artisan roasting and global coffee competitions, to design, music, fashion and artistry, the festival has all the ingredients needed for an educational and entertaining weekend," says festival director, Ludovic Rossignol. "The London coffee scene is flourishing year on year as the appetite for speciality coffee continues to grow. We're seeing increased focus and dedication from cafes, pubs and restaurants to deliver high-quality coffee and London Coffee Festival is the perfect setting for experts in the field to share their knowledge and experience with anyone who has an interest in coffee." 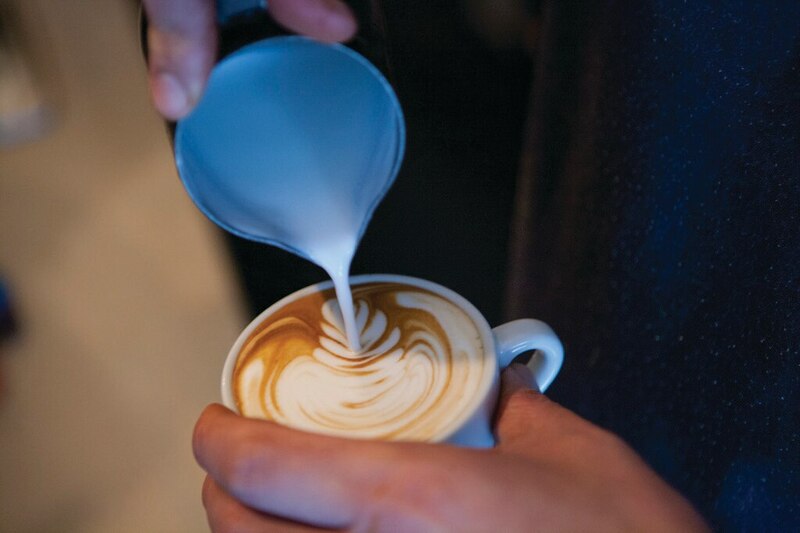 During the festival there will be more than 200 artisan coffee stalls showcasing some of the London's best roasters, such as Square Mile, Caravan and Ozone. 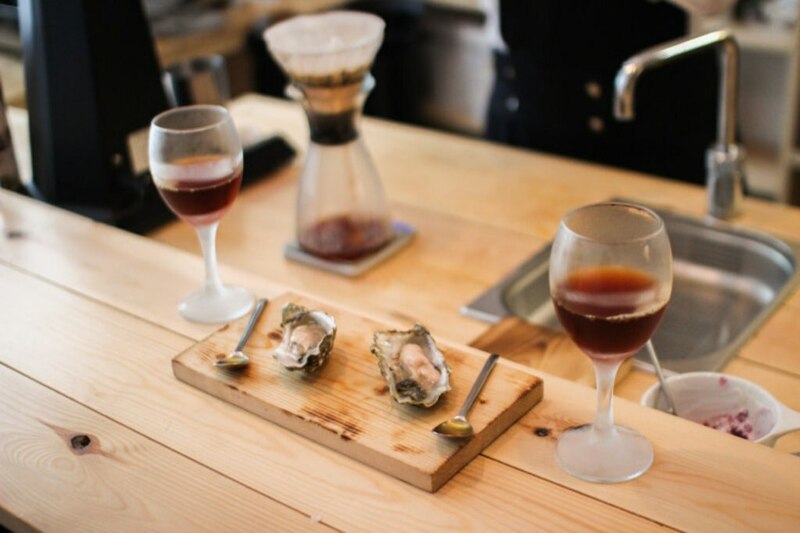 Other events to look forward to include a coffee food pairing experience, where you will get to enjoy a three-course meal with a different coffee to accompany each course - how about oysters with chilled espresso? There will be an espresso Martini bar in Hyde park, live roasting demonstrations in Soho and a School of Chocolate run by Hotel Chocolat. Chocolate and coffee are happy bedfellows and on my way home from Heddon Street Kitchen, I pass a new chocolate and coffee shop on Great Portland Street called Choconut. 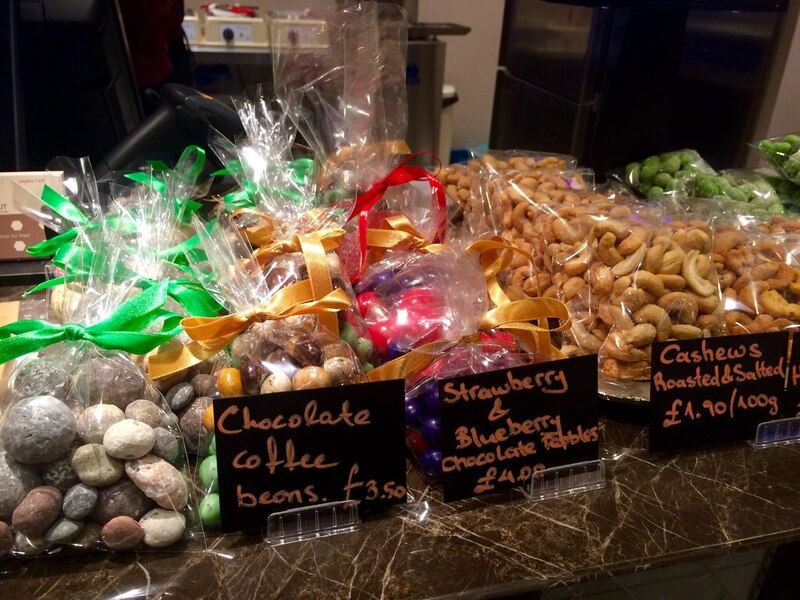 They are selling their own handmade chocolates, which look like works of art, and serving up fine coffee from Square Mile. I couldn't help but pick up a bag of colourful chocolate-covered coffee beans to munch on the way home. They were a heavenly treat, with different flavours including mint and almond, making them a grown-up version of Revels. If you also want to enjoy the best of London's coffee culture, plan your trip by checking out our hotel deals.